Growing up in the midwest, people would have called this a waterfall, but in Telluride, Colorado, it's just a creek. Came together in a couple of hours in the midday sun. 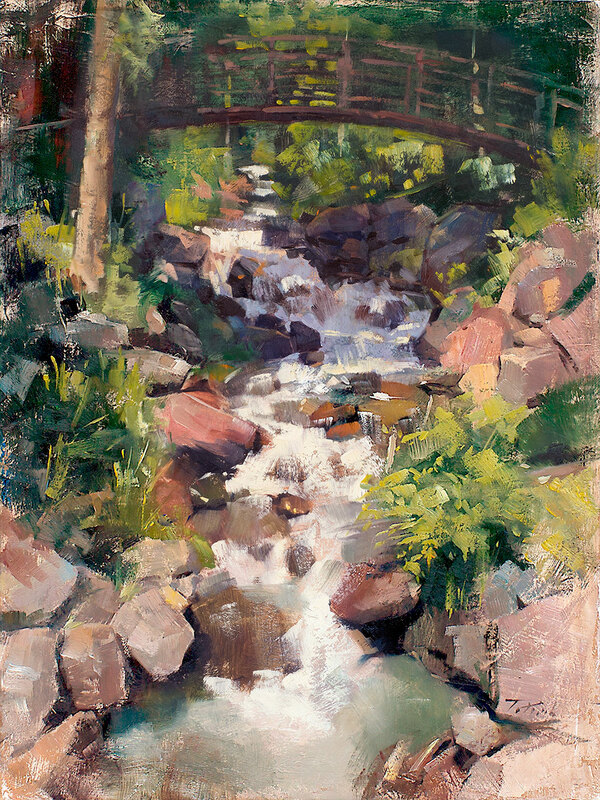 I was honored to receive Third Place in the Telluride Plein Air Festival with this painting.